The film industry in northwest Louisiana has had its peaks and valleys over the years. It’s been more than a decade since hurricane Katrina practically shut down TV and movie productions further south in New Orleans and surrounding areas; forcing productions to move to Bossier. This move was done to comply with state film/TV production tax incentives as approved projects had completion time limits for studios to receive the credits. It was this force of nature that allowed the film industry to settle in northwest Louisiana as the community became known as a great place to make a movie or television program. But not long ago the state legislature capped the film/TV tax incentive program causing many filmmakers to consider other options in states like New Mexico and Georgia which offered better film incentives along with more desirable logistics. Even those producers who stayed in Louisiana shifted back to New Orleans after it recovered. Despite that shift, Shreveport-Bossier still attracts a significant number of film and television projects. It’s even spawned a younger independent filmmaker community complimenting nearby east Texas areas that have always had a fair share of fledgling production companies. Dallas-based filmmaker Natali Jones says the proximity of the Texas and Louisiana film communities is a natural for helping each develop their business. Fellow Texan and business partner R. Bradley Morris agrees as a recent film gig brought him to Bossier Parish and he was surprised at what he found. Because of this discovery, Morris encouraged Jones to create a networking event that was held recently at Flying Heart Brewery in Bossier. 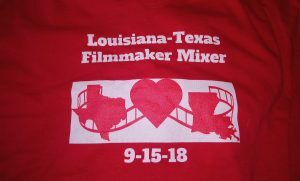 Dubbed the “Louisiana – Texas Filmmaker Roundup”, the event drew dozens of regional and local actors, crewmembers, writers, producers and other people interested in meeting people with the same interests. Kyle Kleinecke lives in Bossier City and works as a creative producer /editor for a local advertising agency. But he’s also an aspiring filmmaker who has worked on three short films for the Louisiana Film Prize, an annual event that offers a $50,000 cash prize to the film that gets the most audience votes along with a select panel of film experts. 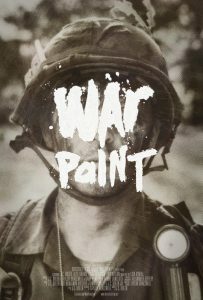 Others have followed their passion to Bossier City in part to the film community that has grown as a result of the La. Film Prize. Colby Doler and Taylor Bracewell moved from Atlanta, Georgia and despite it being a larger city with a bigger movie industry in place, they both have found Bossier to suit their film ambitions. 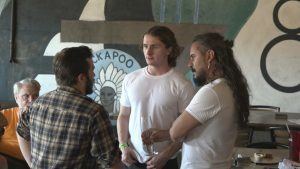 “We’ve made films for the Louisiana Film Prize for six years now, we’ve made the top 20 every year so hopefully the sixth time is a charm,” Doler said. Doler is quick to point out that learning about the independent film movement in the city has really been a plus too. Although northwest Louisiana’s growing film community has led them here, Bracewell adds it’s the hometown feel that has made the move all the better. Rhonda Burnette works for a Texas-based film company but grew up around the Bossier City area. She took part in the Louisiana – Texas Filmmaker Roundup and was pleased that the area has developed into its own hub for movie makers. While some may be attracted by bigger film hubs like Dallas, Atlanta or Los Angeles, Burnette says filmmakers should give Bossier a second look.